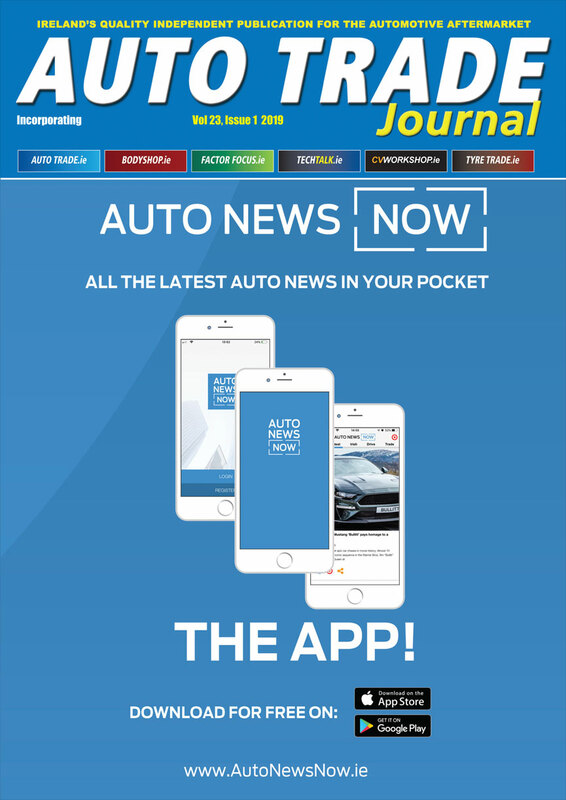 Delphi Technologies recently put its brake pads to the test against the OE and four other leading competitors on a VW Touareg II V6 TDI, a high-end vehicle equipped with the same platform as the Porsche Cayenne and the Audi Q7. The Delphi Technologies’ pad outperformed the four aftermarket brands, stopping quicker and under control, even at high temperatures, braking quietly and wearing less, for an all-round, high-performance brake pad. Equally impressive results were achieved in earlier tests on a VW Passat 2.0 TSI. As engine power increases, and with it the potential for higher speeds, so do the demands on the braking system, and the subsequent risk of brake fade, one of the biggest challenges associated with high-performance braking. To replicate these same conditions, emergency stops were performed at five different operating temperatures, ranging from 50°C to 400°C. At speeds of just over 105 miles per hour (mph), the vehicle equipped with Delphi Technologies’ pads stopped sooner than all four aftermarket brands in every test. Importantly, it also stopped under control and recorded only a small variation in performance over the temperature range, taking 114 metres to stop at 50°C and only two metres more at 400°C. This demonstrates the excellent thermal stability of the Delphi Technologies’ pad. In sharp contrast, two competitors stopped considerably slower, with a noticeable decline in responsiveness as temperatures increased. 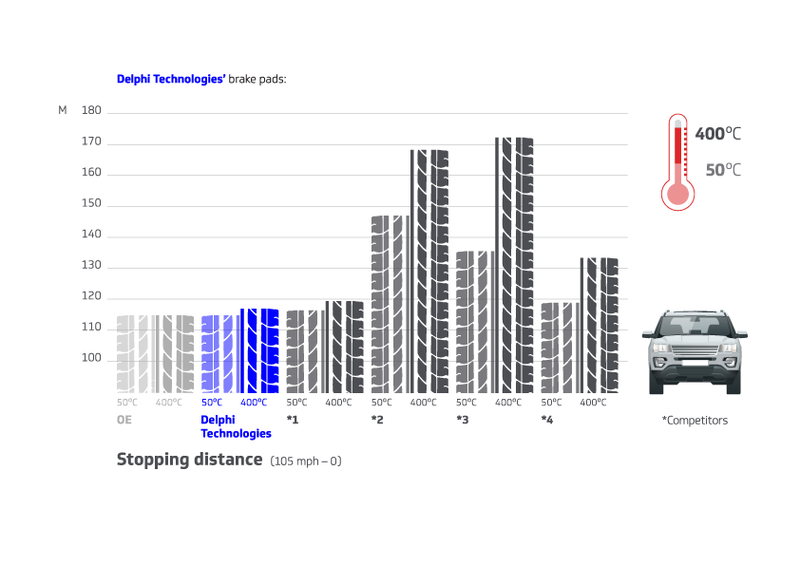 At 400°C, for example, the vehicle equipped with Delphi Technologies’ pads stopped three metres ahead of the next best placed aftermarket brand, 17 metres ahead of the second and a staggering 52 and 56 metres ahead of third and fourth – the latter taking an extra 37 metres to stop at 400°C compared with 50°C. Just as significant, when the Delphi Technologies equipped vehicle had stopped, the two worst performing brands would have still been travelling at more than 54 mph, with potentially major consequences. Fitting a pad with low noise properties is also key. 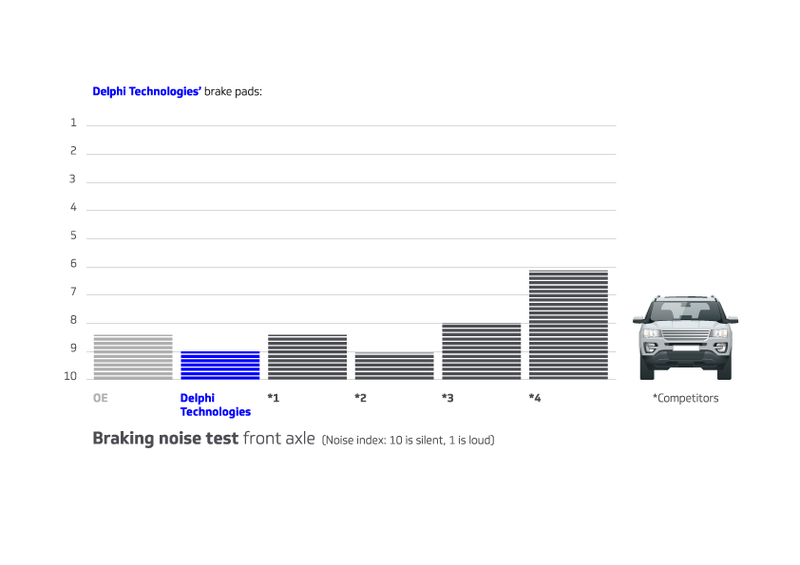 Delphi Technologies proved once again, that its brake pads are amongst the quietest on the market, and critically, quieter than the OE, registering noise above 70db on very few occasions. Similarly, on the noise index, its pads recorded a near-silent 9.0 – where seven or below is audible and ten is silent. “Noise related comebacks are an issue for many garages and this is why all our pads feature proven noise fixes such as OE shims, chamfers and under layer technology. Clearly these do their job, delivering a pad that’s even quieter than the OE,” continues Fryer. Delphi Technologies’ brake pads achieved equally strong wear results. On the front axle where most of the braking is performed, it wore 0.1mm less than the next closest aftermarket brand, and 1mm less than the worst, after 2140 stops at different speeds and pressures. On the rear, the results were similar, this time bettering the OE too. On both front and back the Delphi Technologies’ pad also caused significantly less wear to the disc. In 2018, Delphi Technologies conducted similar tests on a VW Passat, a typical midsize family sedan. The results were equally positive and underline the importance of always choosing pads that have been engineered for the specific make and model they fit.